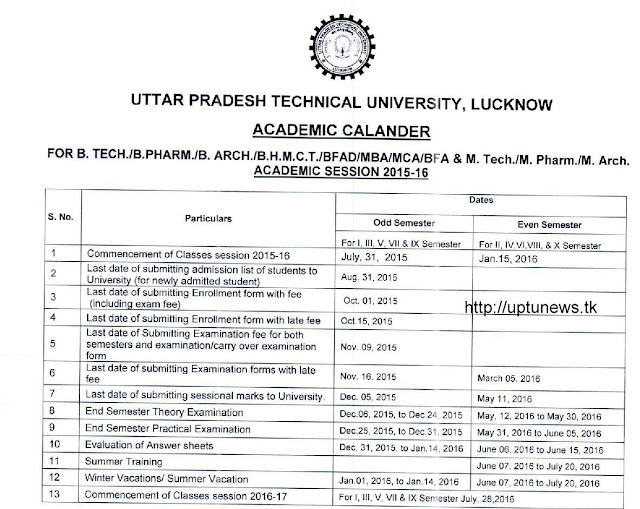 UPTU NEWS : It is to be informed that Even Semester session 2015-16 of Dr. APJ AKTU has been started after 2 weeks interval of odd semester. According to University, every student should maintain 75% of attendence else they will be barred from giving the semester exams. According to our news from our partner, there will be no carry over examination after this session hence it is adviced to clear all your backs in this session only.